YOU WILL WANT TO MAKE THIS YOUR NEW ADDRESS! Only a short distance from the shops and close to the leisure center this property is ready for a new owner. 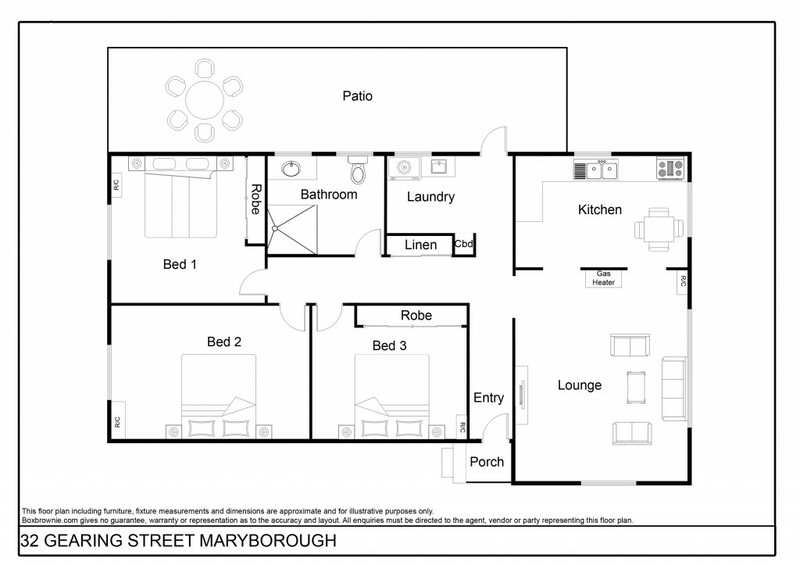 Three bedrooms, all with r/c systems and two with built in storage. Lounge with gas heating and r/c system, large windows and flow through to the kitchen dining. Renovations have been completed in the past 12 months, these include new kitchen including appliances, updated bathroom, painted throughout and new floor coverings. Currently tenanted the opportunity is here now for you to inspect and work out if this is your new home or investment property. Good sized fully fenced yard at rear, undercover area at rear of house ideal for a BBQ, double garage and water tank for garden.